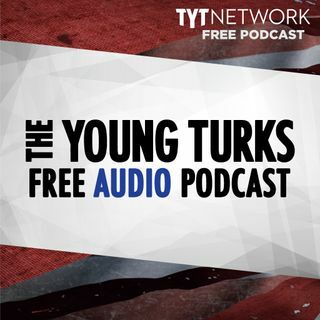 A portion of our Young Turks Main Show from January 31, 2018. For more go to http://www.tytnetwork.com/join. Hour 1: Cenk & John. Rep. Trey Gowdy retiring. Trump's chief of staff said on Wednesday the White House would soon allow for the release of a highly controversial Republican memo alleging the FBI abused its surveillance tools. "We have certainly coordinated with members of Congress as is appropriate. As to specifics on this, I just don't know the answer," press ... See More secretary Sarah Sanders said on CNN's "New Day." "I'm not aware of any conversations or coordination with Congressman Nunes," Sanders said. During the House Intelligence Committee's business meeting on Monday to vote on releasing the Nunes memo, Illinois Democratic Rep. Mike Quigley pressed Nunes about whether he or his staff had coordinated with the White House on the memo, Quigley told CNN on Wednesday. Quigley said Nunes became "quite agitated" when pressed whether any of his staffers were involved in producing the memo, and refused to answer the question. Hour 2: Cenk & Ana. The Immigration and Customs Enforcement agency (ICE) deported Amer Othman Adi, a Palestinian man who lived in Ohio, on Monday. Donald Trump's top public health official resigned Wednesday amid mounting questions about financial conflicts of interest. Dr. Brenda Fitzgerald's resignation comes one day after POLITICO reported that one month into her tenure as CDC director, she bought shares in a tobacco company. Fitzgerald had long championed efforts to cut tobacco use, which is the leading cause of preventable death.